This document applies only for ThinkCMS v5 and not prior versions or implementations of the system. All ThinkCMS implementations and standard modules, starting from v5, implement technical and organizational measures, at the earliest stages of the design of the processing operations in a way that safeguards privacy and data protection principles (data protection by design). ThinkCMS and its implementations provide controllers and processors appropriate technical and organizational measures to ensure a level of security appropriate to the risk of the data processed using the system to comply with Article 32 of the GDPR. While ThinkWeb has taken appropriate security measures to address the risks associated with processing and storing the data, your implementation might rely on other third party vendors that we do not have control over. 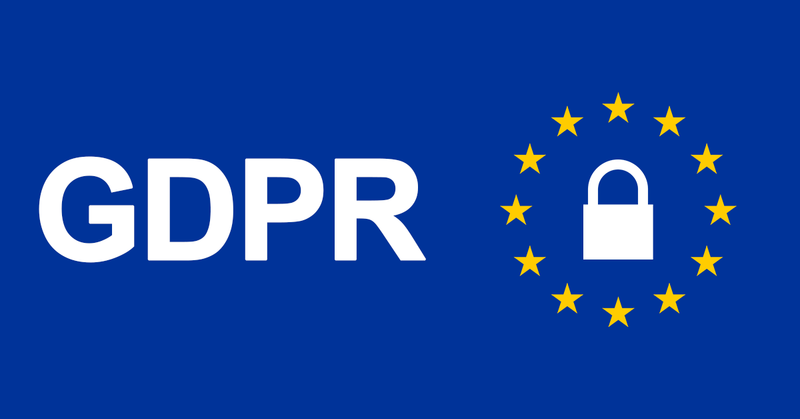 You will be responsible for ensuring GDPR compliance from all of these vendors and ThinkWeb will not be responsible in any way for any issues that might arise from vendors chosen by you. ThinkCMS provides an encrypted database storage functionality and appropriate access control and logging mechanisms to ensure the safety of the data in case of a breach or unauthorized access and a log of all admin users who have accessed the data. ThinkCMS and all implementations, feature a number of technical measures to prevent data breaches and minimize the risk of such breaches as well as the "exposed" information, including unauthorized reversal of pseudonymisation or decryption of sensitive data. Under the GDPR individuals have the following rights and since every implementation is different in the types of data and processing activities, please consult our representatives for more information and the appropriate measures that will be or are implemented in your specific case. Since every ThinkCMS implementation is different, data portability tools, compliant with Article 20 and Recital 68 of the GDPR and Article 29 of the Working Party Guidelines on data portability, are created for the specific implementation. According to Article 15 and Recitals 63 and 64 of the GDPR, for users who want to exercise the right of access to their personal data, specific data access tools are created, if needed, to comply with the regulation. Article 17 of the GDPR. If needed, tools available in the admin area are created to remove all personal data for a single subject. For compliance with Articles 4(11), 6(1)(a), 7, 8 and 9(2)(a), ThinkCMS can implement different methods for managing the entire consent lifecycle and keeping detailed records and an accurate audit trail. Depending on the specific requirements of the specific project, the implementation will include all appropriate tools and measures to address the GDPR requirements. One of the newest additions to ThinkCMS v5 is the GDPR module, created to streamline the technical implementations required by the Regulation. The new cookie related functions enable the administrators to create GDPR compliant cookie consent banners in multiple languages and configure different cookie groups from the administration panel. The module ensures that no cookies (except the necessary) / tracking pixels will be stored or used unless the user has given his explicit consent. The easy to use UI gives the user a choice on which cookies to accept, to withdraw the consent, once given, or change the preferences at any given time. The administration panel provides a full overview of all the collected consents and changes to the consent the user has made along with how and when the consent was obtained, fulfilling the obligations of the controller to demonstrate a data subject's consent under Article 7(1). Appropriate technical measures are taken to ensure that the system refreshes the consent at appropriate intervals. With the latest release of ThinkCMS we have ensured that all necessary resources are stored locally on your installation so that we do not share any IP addresses or other usage information for the admin panel users with third parties. By doing so, we have eliminated the attack vector of injecting malicious code from resources hosted on other servers. However, in some cases it is necessary to share data with third party services to perform a certain task or implement a specific function in the system. In such cases (payment validation and processing, fraud prevention, external API integration, etc..), appropriate measures have been taken to implement appropriate controls, safe transport and communication, minimization of the data shared and or anonymize it when there is personal data involved, when possible. All data collected for the administrators is subject to policies defined by the client that regulate the period of storage and accessibility (Recital 78). More information on what data do we store or process can be found in the data mapping section. According to Article 28 and Recital (81) of the GDPR, ThinkWeb can act as a data processor only if a support or other legal contract is present. All processing activities will be governed by the contract and all applicable laws and regulations. If ThinkWeb is not identified as a data processor it can act only as recipient of personal data as defined in Article 4(9) of the GDPR. To comply with Article 28 and 32 of the GDPR, for all our clients on support contracts we implement processes for regular testing, assessing and evaluating the effectiveness of technical measures used in securing the processing in the ThinkCMS implementations. Also we will assist your with complying with your various obligations in Articles 32 to 36 of the GDPR.